Traditional marketing is gradually giving way to digital marketing where high-tech mobile communication devices are playing a major role in getting travel and tour promotional messages instantly and in a very colorful concepts to the palms of prospective customers anywhere in the world. Social groups tend to share amongst themselves travel and tour information which could tilt travel decisions within these groups or even extended outside. Hence social media marketing is today a very carefully studied aspect in the marketing arena. Taking a cue from these social groups email marketing effectively targeting prospective travelers within these circles is used prolifically and is a very cost effective exercise to execute. Email marketing is not only cost effective but personal and direct messaging where prospective travelers could read what they see in flamboyant color on their screens and interest could be created to tilt travel decisions. Travel or Tour companies have to be on the ball if they are to survive in this volatile marketplace, with every one running the gauntlet to secure a high search engine optimization or seo ranking which could help good visibility to every prospective traveler when finding for their travel needs. Every online marketing strategy planned to attract travelers to engage with you, has to produce results, which could be closely monitored and if found flawed could be revised and rectified immediately. Giving off their best to bring success is the order of the day when it comes to achieving high seo rankings and more exposure within the millions of travelers out there waiting to catch a plane and reach their holiday destination. Your digital marketing agency would need to use every possible trick in the book to ensure that you catch the first worm that wriggles from under the ground and to do so they would need to strategize their efforts and use every possible medium available and draw up the best digital marketing plan for travel agency. The following digital strategies incorporated into a digital marketing plan for travel agency should work effectively for you if employed in the right context within the various platforms available to take your travel or tour company onto and to the palms of your customers. SEO is one of the most important aspects in the digital marketing environment and with most travelers looking online to find their next holiday destination your travel or tour company would be found first and fast if your SEO strategies for travel business are effective. Using the right keywords would be the most important when utilizing this strategy and your seo agency should help you through on this. Your digital marketing plan for travel agency should concentrate on this very direct marketing approach where you could get your new travel messages onto the screen of prospective travelers when they open their emails every morning. Research has shown that there is a 70% chance that your email would be read and at a very negligible cost it is worth the little money you would spend on each one of them. Prospective travelers would proactively look on the search engines before they decide where they would like to spend their next holiday and if your seo agency could pick the right keywords that he or she would use to initiate the search they would definitely find you. Your SEM strategies should be constantly updated to ensure you come up with the right combination of words to ensure that your travel or tour company is found when searched. Your web design and development concept should be colorful, informative and attractive to ensure that your prospective traveler would linger long enough on your website for you to get your digital marketing message across. The social media is very active and is peaking with many millions joining them every minute across the world and is one medium that your travel or tour company should be active on. Every online marketing platform should be targeted in your digital marketing plan for travel agency if you are to reap the complete benefits from the widest marketplace on Earth, the online marketing platform available to every business today operating from any part of the world. The Internet has opened up a host of opportunities and your travel or tour company can be a big conglomerate or a small time operator which does not matter much because the opportunities of being found online is equally available to all. Your digital marketing plan for travel agency should use the digital online advertising that is available to the optimum levels and derive the maximum benefits from it. Unlike traditional marketing, today the digital marketing platform could use video to bring home to the prospective traveler what exactly is in store for them from the time they land at their port of destination, on their much looked forward to holiday. Using this medium effectively your digital marketing plan for travel agency could show what you may need a million words to put across to the prospective traveler. 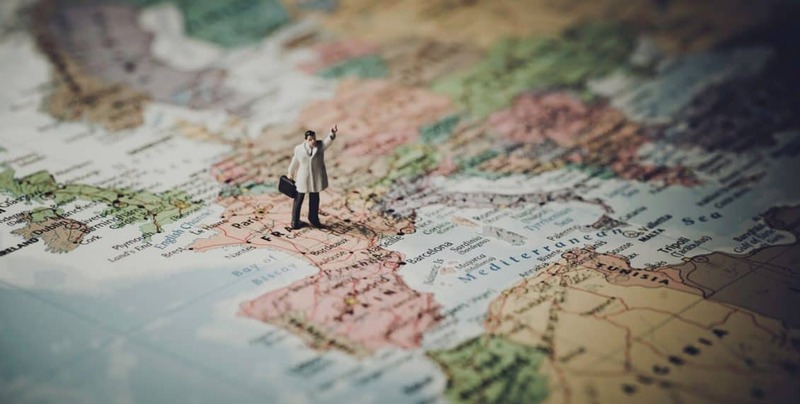 The content selected to describe the various holiday locations should be well selected as this would be the sway between a traveler deciding to go to a particular location or not. Distribute your marketing content across the web that can help increase your company's online visibility and reach your target audience. Mobile devices are proliferating and messages could be taken to the palms of prospective travelers hence using this medium effectively would be the prerogative of your digital marketing agency. Is commonly used today and is very cost effective unlike the billboards of an era gone by and exposure could be effective if well strategized. This is a very effective medium and research by the Word of Mouth Marketing Association of America (WOMMA) declares that many purchase decisions are made after word of mouth information.